When it comes to design in the alcoholic beverage industry, bottles usually get all of the love. 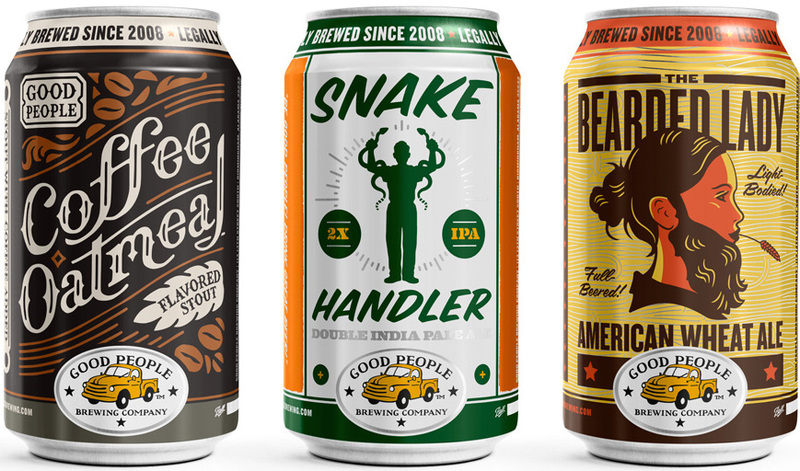 Check out some of these beautiful beer can designs. 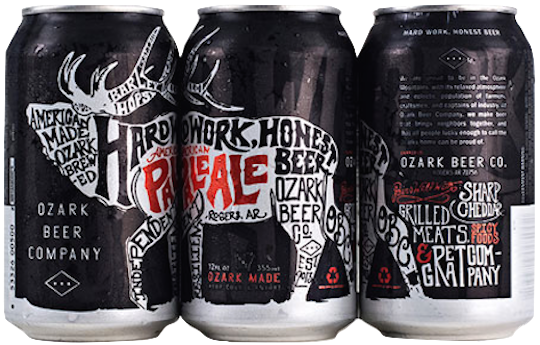 Ozark Beer Company strive to make great Beer that speaks to the quality and character of who we are and the region that we represent. We are proud to be in the Ozark Mountains, with its relaxed atmosphere and eclectic population of farmers, craftsmen, and captains of industry. At Ozark Beer Company, we make beer that brings neighbors together, and that all people lucky enough to call the Ozarks home can be proud of. 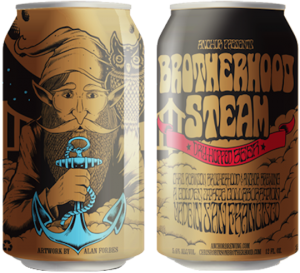 Anchor is America’s first and oldest craft brewery, with roots dating back to the California gold rush. Today, our beers are handmade from an all-malt mash in our traditional copper brewhouse. Our process combines the time-honored art of classical craft brewing with carefully applied, state-of-the-art modern methods. 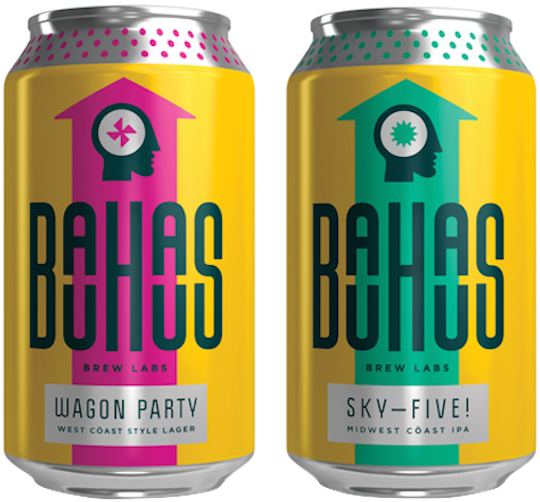 Bauhaus Brew Labs – Wagon Party & Sky-Five! 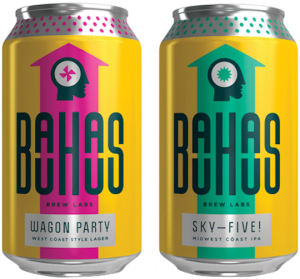 Bauhaus Brew Labs is a family of musicians, scientists, artists and – above all – beer lovers, aiming to reinvigorate the spirit of the family brewery. At Bauhaus, we take a unique look at classic German-inspired beer styles, skewed slightly by a sense of play and adventure. 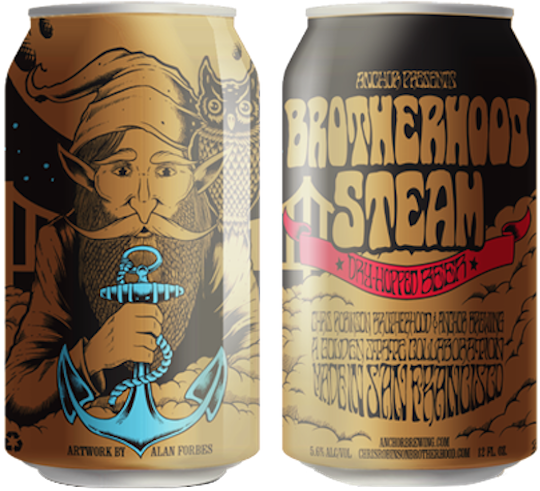 Our flavor-forward, sessionable beers are crafted to surprise and delight without taxing the palate. Located in Birmingham’s burgeoning Parkside District since 2010, we love spurring on our neighbors — and the Birmingham Barons — at Regions Field. We also love throwing frisbee with the dogs at nearby Railroad Park. As our little corner of the Magic City has grown, we’ve grown with it. But one thing has never changed: our passion for brewing great beer for good people. Half Acre Beer Co. has two breweries on the north side of Chicago. We brew classic american micro styles, weighted barrel offerings, and wyld beers that traverse the landscape of mixed fermentation. Our aim is to brew technically raw beer for the collective odyssey. Your lion-like manner causes you to be feisty, dominant and sometime a little self-centered. 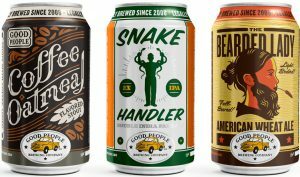 What is the perfect beer match for a Leo? Flip Cup Drinking Game – What is it and what are the rules? Flip Cup, A.K.A. Flippy Cup, is a fast-paced drinking game to play with a large group of people. Here’s everything you need to know about Flip Cup!